The first Chris Claremont comic I ever bought was X-Men #137 (1980), the climax of the Phoenix Saga, quite possibly the most significant and game-changing story in Marvel Comics history. It had twice the usual page count as a regular monthly comic and costing 75¢ instead of the usual 50¢ — this was in the age when double-sized comics or annuals even had square, perfect-bound spines. I picked it up because I'd recently read the first ever X-Men story from 1963, by Stan Lee and Jack Kirby, and had fallen in love with the premise: mutant superheroes, hated and feared by the world around them but sworn to protect its people. The first issue introduced five heroes and their mentor. X-Men #137 contained these characters and dozens more: new mutants, changed heroes (I was astonished by the transformation of Hank McCoy, "The Beast," from athletic teenager to blue furry acrobat), a star-spanning empire and their own heroes, a pastiche the Legion of Super-Heroes (although I didn't know this yet)  even the Watcher and the Recorder, two of Lee and Kirby's more cosmic creations from the 1960s. I inhaled that comic, lived it, breathed it, began searching out back issues. By the day X-Men #138 came out a month later, I lost sleep the night before because I was so excited. My story isn't the only one of this type. 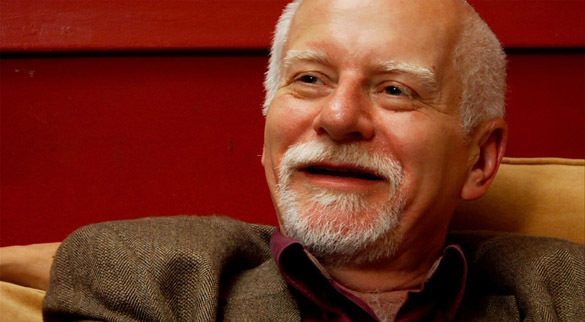 Chris Claremont grabbed the imagination of many thousands of comics fans in the late '70s and early '80s with his elaborate, intricate plots, sympathetic and well-developed characters, and a keen sense of both wonder and injustice. The modern comic book industry would not exist in its current form without Claremont's work on the X-Men — these stories were, for me and so many who love the medium of comic books and graphic novels, a gateway into a wonderful, awe-inspiring, complicated and sometimes infuriating world. So is the story of Claremont himself, as this film absorbingly establishes. 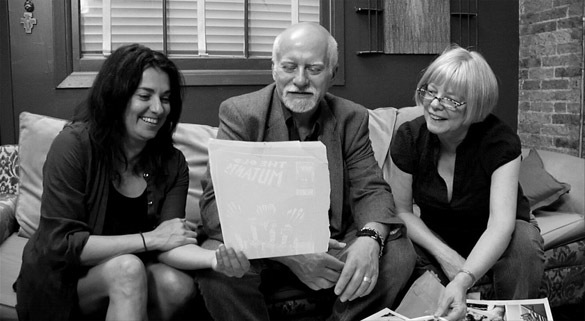 Chris Claremont's X-Men is a documentary in interviews connected with an economical narration. It's not a biography: Claremont's life story is covered within a couple minutes to get straight to the point that it's a quick-moving history of his work writing the X-Men for Marvel from 1975 to 1991. Interesting but extraneous historical tidbits are omitted to keep driving the narrative firmly. There's no mention of his extensive pre-X-Men writing for Marvel on Daredevil or Iron Fist, nor of his notable suggestion to Marvel writer Roy Thomas in 1969 that helped Thomas solve the ending of an X-Men story. The only momentary digression off the documentary's subject spotlights a Claremont Spider-Man comic guest-starring the original cast of Saturday Night Live. It's a good decision. It's too great a story to omit. Patrick Meaney, director of a number of solid if unremarkable recent comics interview/history movies (Neil Gaiman: Dream Dangerously, She Makes Comics, The Image Revolution) uses extensive interview footage with Claremont accompanied on the couch by his X-Men editors Ann Nocenti and Louise Jones Simonson. 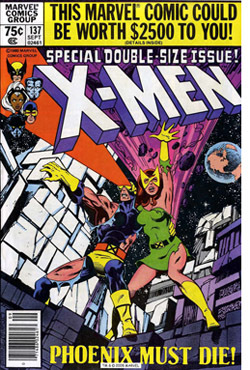 Their enhanced by reminiscences with New X-Men co-creator Len Wein, Marvel archivist Peter Sanderson, and infamously controversial Marvel Editor-in-Chief Jim Shooter. An incredibly savvy move by Meaney is to bring in commentary by Sean Howe, author of < Marvel Comics: The Untold Story, the acclaimed 2012 history on the inner workings of the comics company. It's too bad that John Byrne, artist on X-Men during one of Claremont's most successful periods, isn't interviewed. Despite his reputation for an irascible personality and period feuds with Claremont, Byrne's inclusion would have given the history of Claremont's creative process a fuller and perhaps less hagiographic tone. 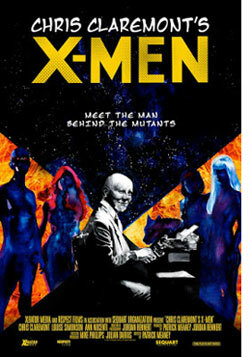 Claremont's history with Marvel's merry mutants is handled briskly, beginning with a requisite focus on the Dark Phoenix Saga, Days of Future Past and the rehabilitation of Magneto, before progressing to the more introspective and fascinating part of the documentary: the most interesting segments comprise the final twenty minutes's discussion of the X-Men franchise's popularity becoming hoist on its own petard with the rise of the corporation over the creative and the movement to an artist driving a comic book's popularity. Claremont speaks with care and diplomacy  but he's clearly frustrated  on Marvel's drive to expand the X-Men franchise with more comics series than he can handle writing himself. Claremont's creation, along with Nocenti, Jones Simonson and her husband Walt Simonson, of first major comic book crossover event is a classic example of no good deed going unpunished. Their "Mutant Massacre" saga running through Uncanny X-Men, The New Mutants, Power Pack and Thor was so popular than annual crossover events became an editorial mandate, often derailing careful plot planning and story scheduling. The film's one major misstep is including X-Men cosplayers in transition scenes. Although they're impressive and beautifully costumed, filming them vamping or reading comics in a dark room is more worthy of giggles than inspiration. Claremont's memories of the death of Phoenix are accompanied by a particularly cringe-worthy shot of the Jean Grey cosplayer collapsing to the floor. The cosplayers themselves are great, but I'd rather see a separate movie documentary devoted to them rather than Meaney shoehorning them into Claremont's story. There are no great revelations here, but the film is still very much worthy of attention. Although Chris Claremont's X-Men won't tell longtime fans anything they don't know about the man and his work, the interviews are engaging and noteworthy, especially for the affection between Claremont, Nocenti, and Simonson. Like Meaney's other documentaries, this is an excellent introduction for the curious or new fan, and familiar comfort food for those who fell in love with his writing after plucking a comic book off a spinner rack almost forty years ago. Read Steve Kopian's interview with director Patrick Meaney here.